The Sea-Doo GTS 130 model is a fun and versatile affordable watercraft that comes with standard features usually found on higher-priced models, such as: Intelligent Control (iTC) technology with Sport, Touring and ECO Modes, allowing riders to choose between three level of power, Off Throttle Assisted Steering (O.T.A.S. ), Sea-Doo Learning Key and Digitally Encoded Security System (D.E.S.S), Closed Loop Cooling System (CLCS) and rear-view mirrors. The GTS 130 model is available in Lucky Green and is powered by the reliable naturally aspirated Rotax 4-TEC marine engine that makes it nimble yet powerful while remaining fuel-efficient. 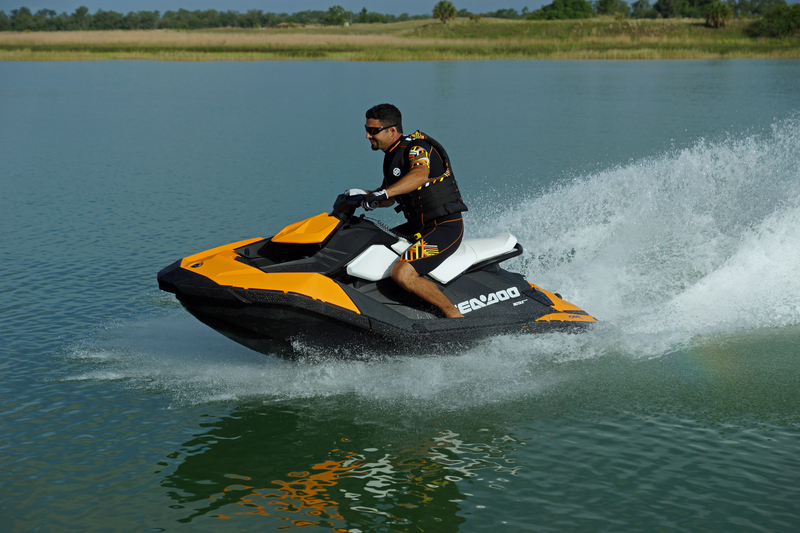 The Sea-Doo Spark is our newest watercraft and is the most accessible watercraft on the market. 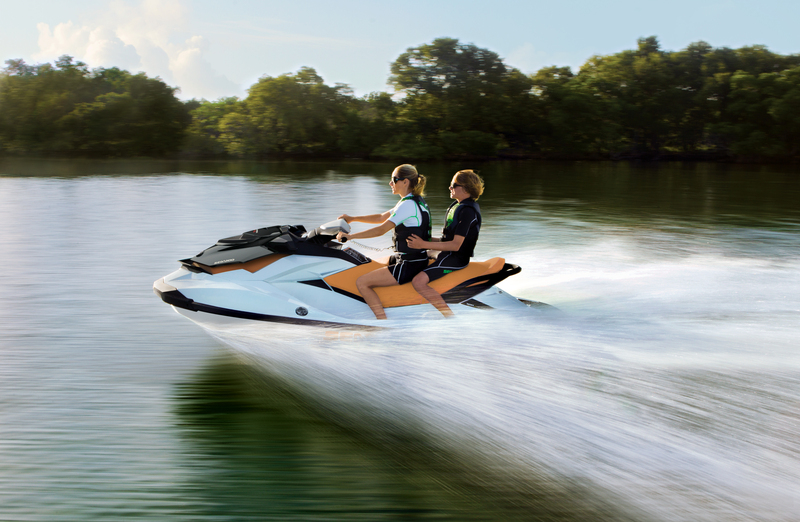 Read all about the Sea-Doo Spark by clicking here. Click here to read the full Personalwatercraft.com story. I was trying to buy a pwc since summer 2013, but I wasn’t sure about it until I went to the 2014 Toronto Boat Show and I saw this new BRP’ creation: the Spark. I did some research and read some reviews between this new seadoo (3up version) and the entry level GTI 130 3seat and the conclusion was that they both almost have the same speed ratio (+-50mph) and the full price on the Spark’ top version was roughly 30% under the GTI price, so, I bought one. Now, I will wait for the spring/summer season to ride it. It will be fun! Glad you are happy with your GTIs! Have fun on the water!